Another month, done and dusted. Time goes by, too quickly for my liking, but anyway!! I have been, from one side of the world (literally) to the other, over the last couple of months. Safe to say, I am back in Malaysia, for how long, I do not know, lets just see where life takes me:). Here, to share with you "My Top 6 Instagram pics" for May! This picture, was taken, not long after I arrived back in the UK. It was a nice, unusually sunny day in Bristol. So, my sister, her boyfriend and I, decided to check out this pub/restaurant, in Avon Gorge Hotel, which has a large terrace area, with "extraordinary" views of the famous Clifton Suspension Bridge. 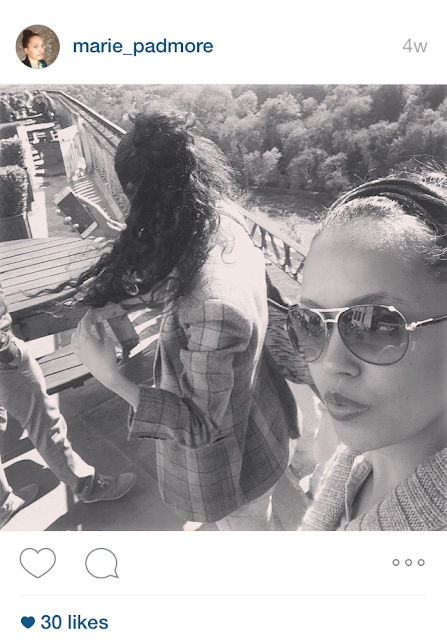 "Of course", this gave my sis and I, tons of selfie/photo opportunities for Instagram! 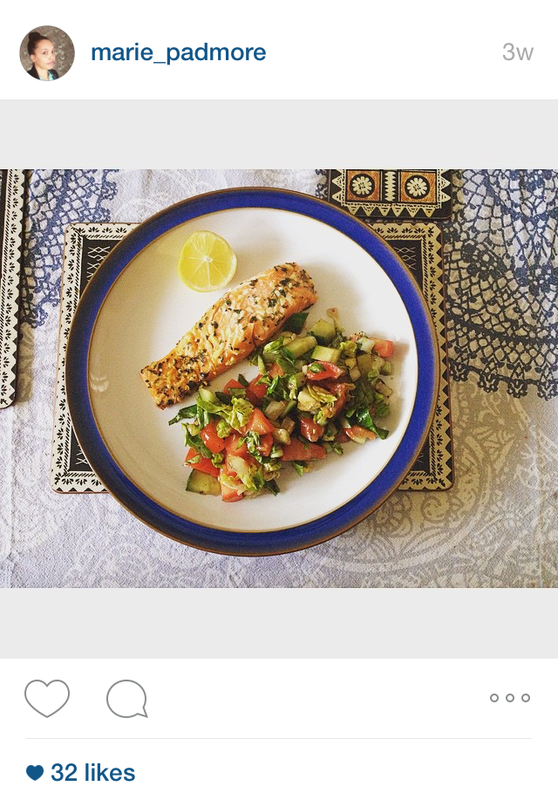 Whilst in the UK, I was enjoying having my Salmon Fillet with fresh salad (great prices for salmon in Aldi;) and had it quite a few times for dinner, Yum!! This was me, promoting my blog post "My Top 5 Places to See in Kuala Lumpur". This photo happened organically, walking around the area, in the evening and was taken on my iphone! 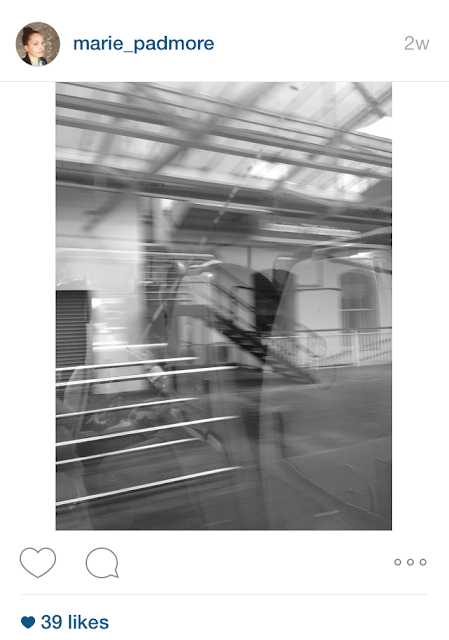 Capturing a moment, on a Nation Rail train, leaving Paddington station, after spending the weekend, with family and friends in London. I had a selfie moment. Taken in my mums garden, on my last day in the UK:(, before heading back to Malaysia. 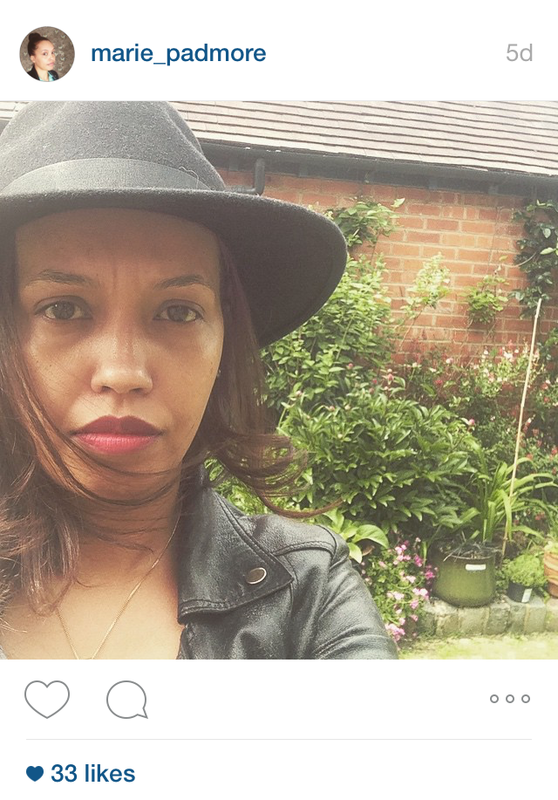 I did notice, going through my Instagram page, how many pics of me, wearing my Fedora Hat! I certainly made the most out of wearing it, because Malaysia is too "damn" hot for wool hats! I never tire, taking pictures, of this "astounding" piece of architecture. 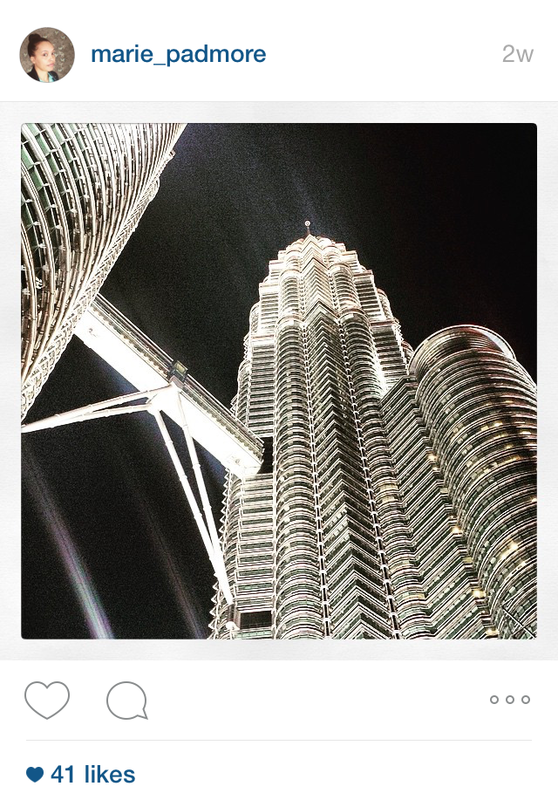 I took this photo, my first week back in Malaysia. 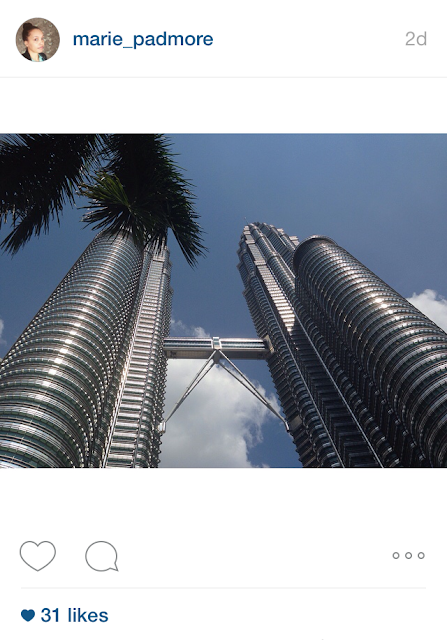 You can not escape the views of Petronas Towers in KL! What did you get up to, in the month of May? Did you go away anywhere? I hope you have enjoyed this post and it has given you a small insight, in to what I have been up to, in the month of May.